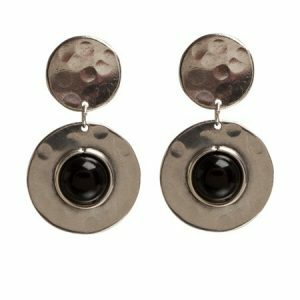 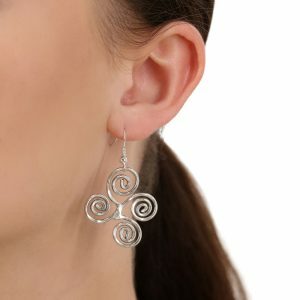 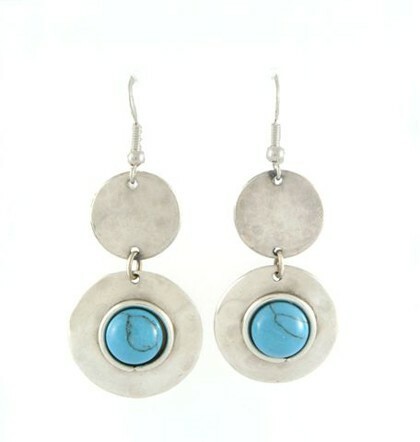 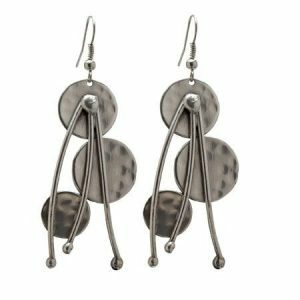 Beaten silver double drop disc earrings with a central turquoise stone available in a Hook or Post. 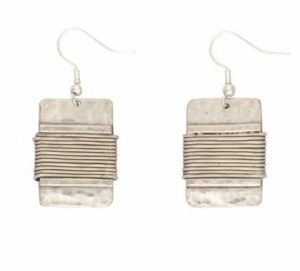 Handmade in South Africa by a group of highly skilled artisans. please note the stud version will look very similar to the image shown of the Clifton black earring.